Sprinkletree is about to get tastier! 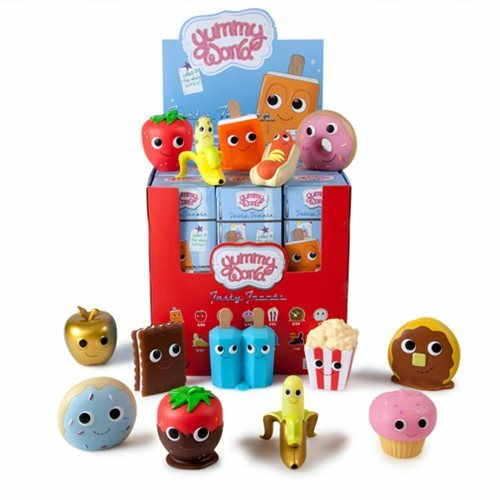 The Yummy World family just got bigger with the Yummy World Series 2 Vinyl Mini-Figure Display Trays! Filled with your favorite sweet and savory snacks, these new friends will make you lick your lips with excitement and satisfy even the biggest tasty craving. Treat yourself to all 14 to make your Yummy collection extra tasty! Ages 8 and up. This Yummy World Series 2 Vinyl Mini-Figure Display Trays contains 24 randomly selected, blind-packaged figures.